When you’ve had a bad day, are you the type of person who has comfort movies? I live in the South, and we’re big on comfort food down here. There are times, though, I don’t reach for freshly fried chicken or a hot fudge sundae. Instead, I go straight to my movie collection. When I’m down, there’s nothing like Fred or Ginger dancing away their worries. Or Rosalind and Cary spewing lines left and right in a hailstorm of hilarity. Yeah, after a bad day, there’s nothing like relaxing with one of my favorite movies. Ever since I was a teenager searching for a way to get out of housework one afternoon and stumbled on Topper, I’ve loved watching classic movies. The original Frankenstein with Colin Clive and Boris Karloff has some chilling moments that still resonate today. The scene in Double Indemnity where Billy Wilder highlights Barbara Stanwyck’s face as Phyllis watches her husband die is a classic moment in film noir. Irene Dunne’s Lucy Warriner trills a note and grins in The Awful Truth when her husband Jerry, played by Cary Grant, barges in on her recital and falls flat on his face. 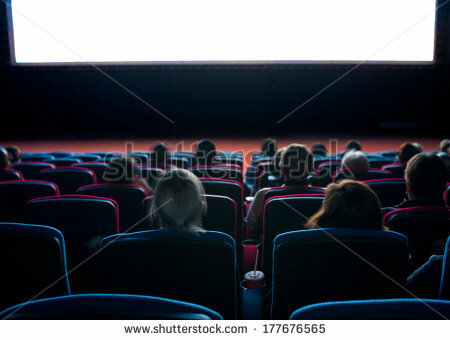 It’s Writing Wednesday, and in keeping with my series on how classic movies can help with writing, what do all of these movies have in common? They are classics in their genre: horror, film noir, and romantic comedy. They knew their voice and executed their elements beautifully. Genre. A trip to a bookstore doesn’t hide the fact there are tons of different books out there: horror, thrillers, cozy mysteries, romance, young adult, mainstream fiction, biographies, self-help and more. (If you haven’t seen the post about a bookstore employee making his own sections, it’s really funny and worth a look). The first decision a writer makes is narrowing down the field and realizing what they want to write. I love cozy mysteries and when I’m not reading a romance, I’m usually caught up in the latest of one of my favorite mystery authors like Carolyn Hart or Rita Mae Brown. But when push came to shove, I always turn to a romantic movie to pull me out of the doldrums. More often than naught, I turn to one of my favorite romance writers when I need a good laugh. For me, the choice was simple: romance. Voice. Ah, the elusive term for writers. How often do beginning writers hear a familiar refrain? Find your voice. Find your brand. Classic movies knew their voice. There was a reason some people referred to Frank Capra movies as Capra-corn. When you went to a Frank Capra movie, you knew you were getting two hours of delicious, fun movie entertainment. Eighty years later, a number of his movies are still household names: It’s a Wonderful Life, Mr. Smith Goes to Washington, Arsenic and Old Lace, Mr. Deeds Goes to Town, It Happened One Night, and You Can’t Take It With You. All of these movies resonate with the deep down goodness of people to do the right thing (even the Arsenic and Old Lace aunts in their own twisted way are convinced they’re doing those men a favor before Teddy digs another lock for the canal). George Bailey finds out that no man who has friends is a failure. Jefferson Smith finds out his filibuster is not for naught. Longfellow Deeds finds out Babe Bennett isn’t just out for the story. Peter Warne finds out the importance of standing behind his principles and only asks for the money due to him. Alice Sycamore finds out the richness of one’s family is not in dollars, but in the way they live their lives fully and without reservation. Persistence can help a writer figure out what sets their books apart from others in the same genre. Sometimes it’s likeability. Sometimes it’s the writing style fitting the genre. The more you write, the more you find out what is unique about your writing style and the more it will come across on the written page just the same way it did for Frank Capra’s voice coming across on the silver screen. So personally, comfort movies can actually translate to the written word. So many times I’ve turned to one of my romantic comedies to the point that it was natural for me to turn to writing romance. What about you? What’s your comfort movie? Let me know.